I came across this picture the other day – where I got got. I was in a golf tournament with a practical joker and he said ‘Can you tell me how far it is to that pin?”. The pin was over a hill so I had to climb on my cart to use my handy dandy laser scope. Little did I know that he was snapping a picture ….. 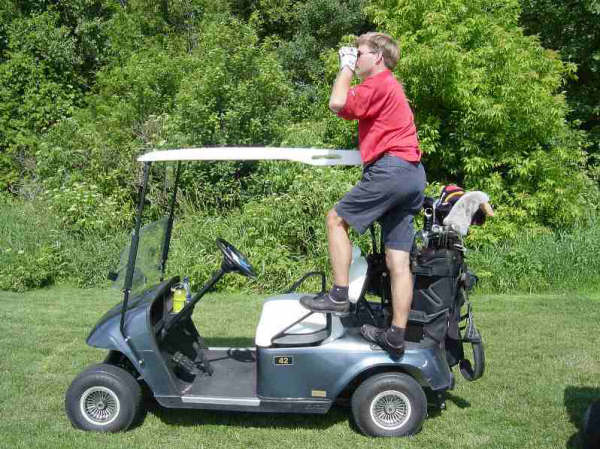 This entry was posted in Golf and tagged funny, Golf, golf cart, scope by michaelweening. Bookmark the permalink.